Nowadays you hear a lot about “vibrating on a higher frequency”. This is an old idea packaged in a new bottle. 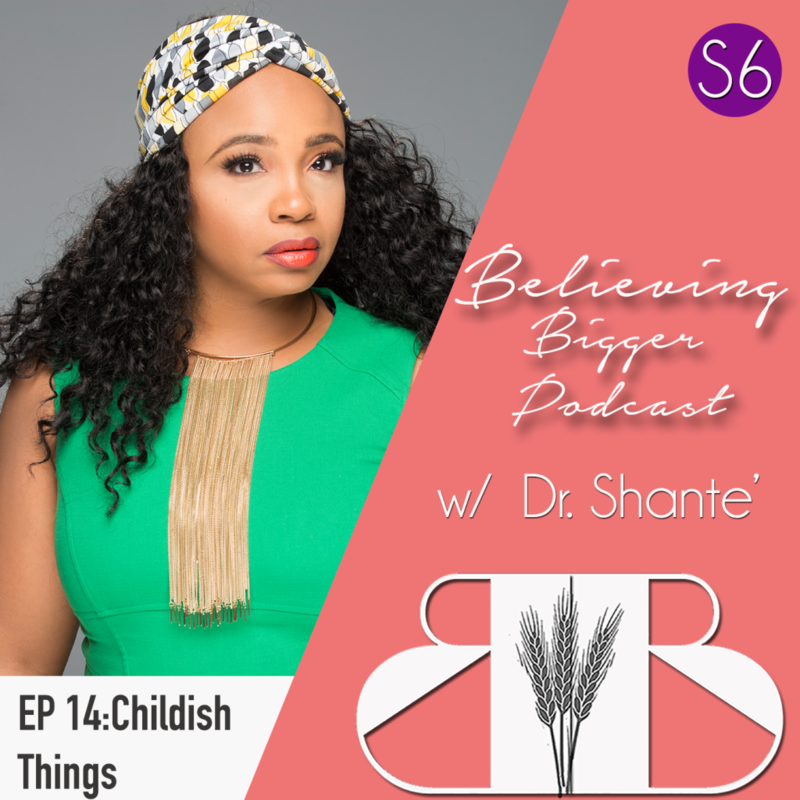 The Apostle Paul addressed this when he spoke about” putting away childish things.” In this episode, Dr. Shante addresses what it really means to vibrate at a higher frequency by examining the mentality, modality, and reality of elevation. When our phones die, we logically look for a source of power to recharge. The logic being, that the device will not work unless the battery is activated. Our spiritual devices work the same way. In this episode, Dr. Shante breaks down the power that we all have and how to use it to build our platforms. Dysfunction demands an audience and many of us have been enabling it for far too long. In this episode, Dr. Shante challenges listeners to ditch the drama and walk on a more positive path. Every year, we tell ourselves that we’re going to do MORE; we have an insatiable appetite for more abundance, more love, more travel. But what have we done with the things we already have? 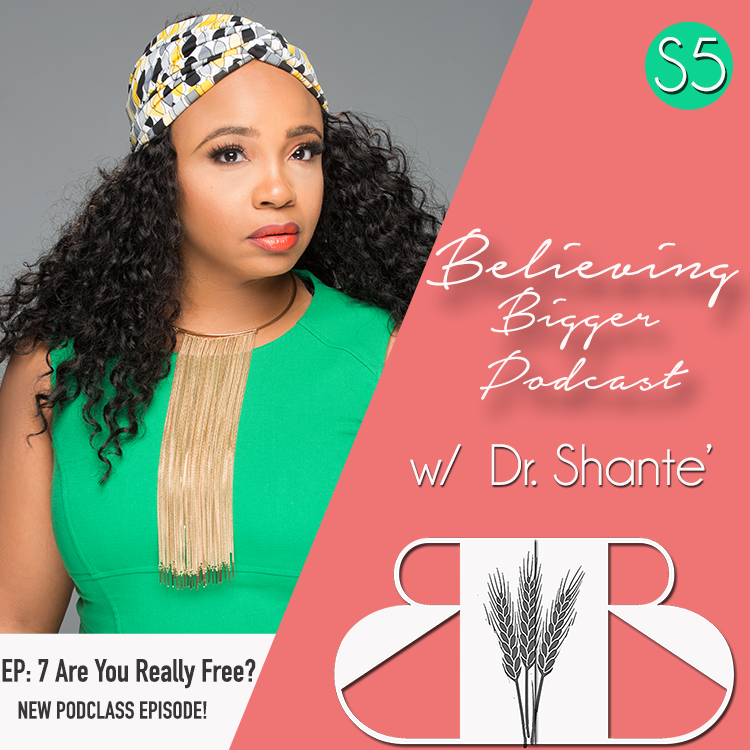 In this episode, Dr. Shante tackles the weight and responsibility of having more, and the key to getting it. God has freed us to live out our purpose, but when trouble comes, it’s easy to get entangled in the very things that we’ve been freed from. 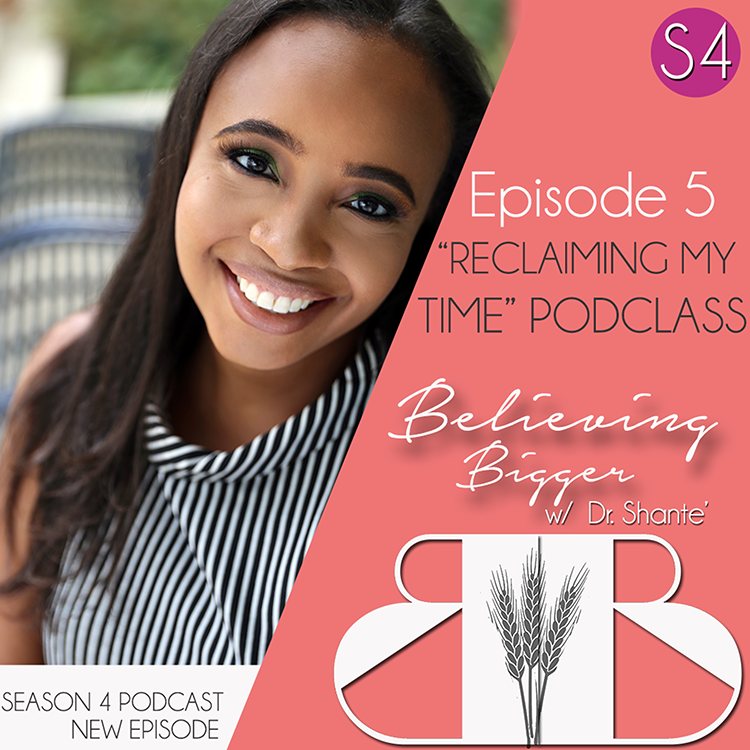 In this episode, Dr. Shante breaks down what it really means to be free, how to break away from our past, and highlights the methodology God uses to prepare us for purpose. 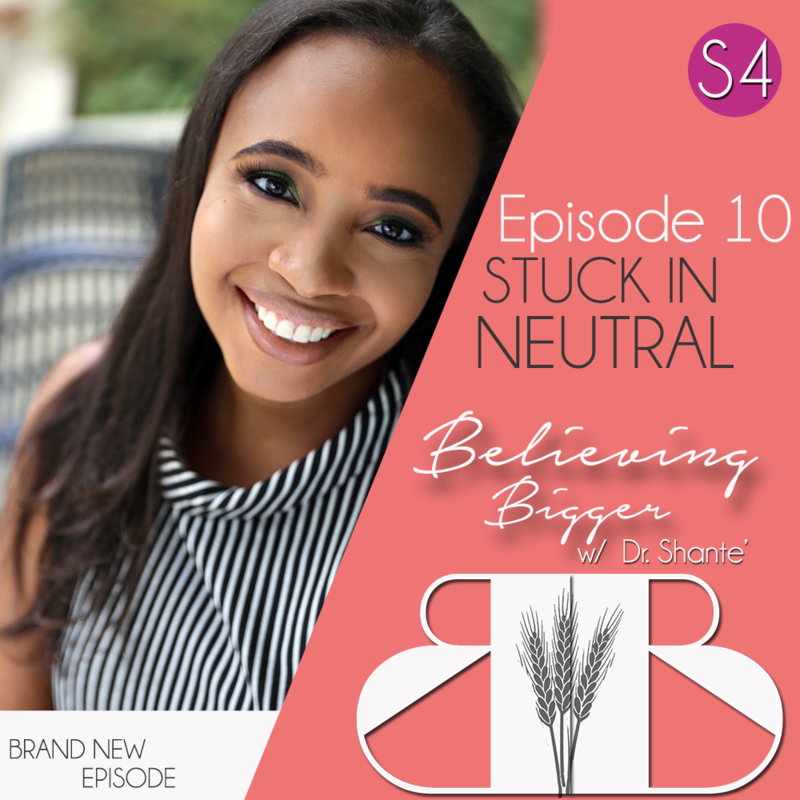 You’ve listened to podcasts, read books, taken seminars, signed up for webinars, paid for workshops, coaching….retreats, yet despite your efforts, your dream seems to be stuck in neutral. In this episode, Dr. Shante explores the frustration of being stuck, how it happens, and what you can do to move forward. S4: Ep3 Do You Have Itching Ears? Restless. Anxious. Doing the ABSOLUTE MOST. All of these are signs of having “itching ears”, a state of being discontent with where we currently are in life. 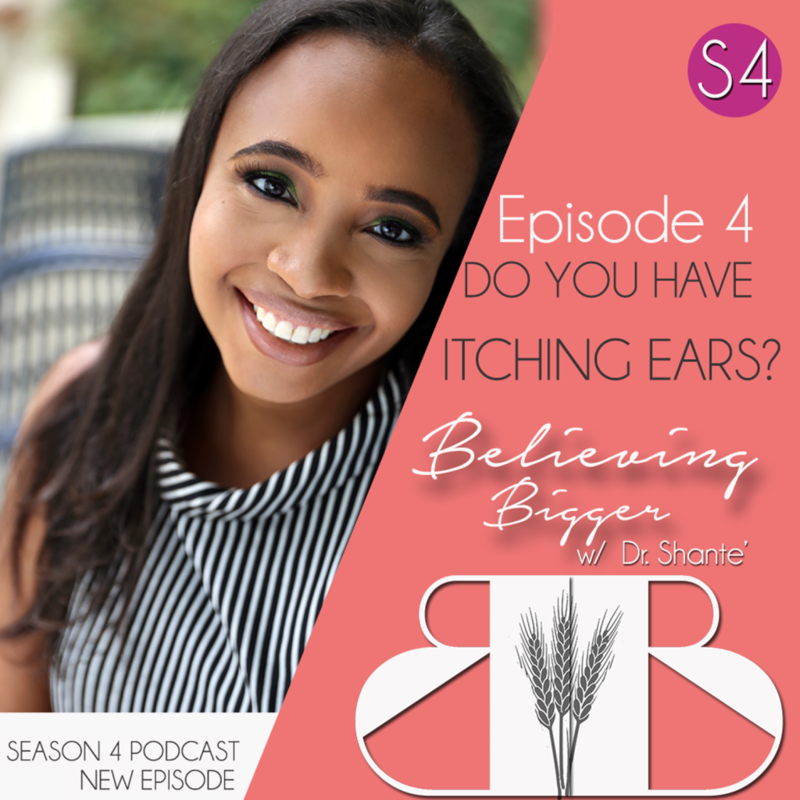 In this episode, Dr. Shante breaks down what it means to have itching ears, how to cure it, and some strategic tools to help stay grounded and focused. 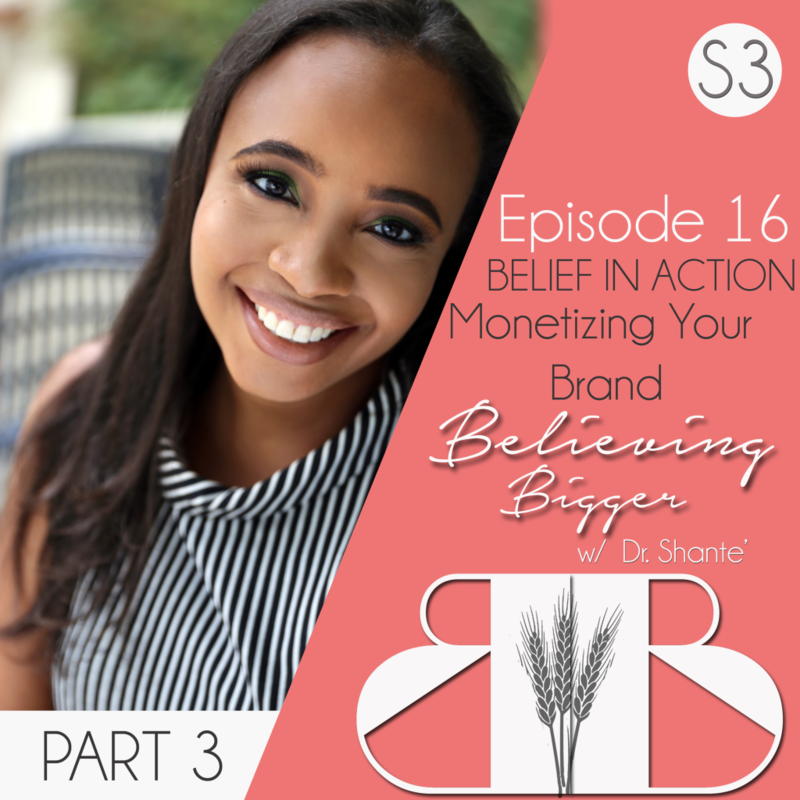 In the Belief in Action Series Finale on BRANDING, Dr. Shante breaks down how to turn your brand into an actual revenue generating business, and what key mistakes to avoid. In this episode, Dr. Shante continues her series on growing your faith in 2017. In part 2, Dr. Shante covers: giving, not quitting, being guilty by association and the power of prayer.